How long's it been since you've seen Liberace playing the piano on one of his 1950's black and white television shows? Well, that's too long. All you have to do to see fancy pants at the keyboard again is get yourself in front of a screen that's showing Lucky, starring that recently passed-on icon of a film actor, Harry Dean Stanton. Stanton has been in so many great, offbeat movies it's not even funny. Repo-Man is the first one to pop in my brain. Holy Eccentricity! How 'bout Paris, Texas or The Last Temptation Of Christ or Wild At Heart or television shows like Big Love and Twin Peaks. Harry's list seems as though it could go on forever. When you see Stanton in a picture, that's what you get: Stanton. He never failed to do his memorable number in front of the camera. This last film he's been cast in puts the always seemingly down and kind of a creepy, yet sort of lovable guy walking around an off-the-grid, old desert town that looks to have about 75 people, several dogs and one giant tortoise named “President Roosevelt.” No one's sure if the reptile is named after FDR or Old TR, not even Lucky's bar bud Howard, who owns “President Roosevelt. Mulholland Drive director David Lynch does Howard. And, hot damn, if Howard's not upset! “President Roosevelt” done skipped town and Howard can find nary a trace of his large, shell-covered pet. Howard claims that “President Roosevelt” is over a century old. That tortoise get us to the fundamental of what Lucky is messaging: getting older and older, and not yet dead, which “President Roosevelt” and Lucky both can claim to be their lot, at present, in these current times of ours. Some other familiar actor faces have extended chat scenes with Lucky. There's Ed Begley, Jr., the town sawbones; Tom Skerritt, a visiting WWII ex-Marine drinking coffee and eating apple pie at the local diner where Lucky takes breakfast every day. The long time unseen face of James Darren, in character, hangs out at the bar, and lives with Elaine (Beth Grant), the lady who runs the joint. Ron Livingston has the role of a local lawyer who wants to sell Howard a will, and advise this man without a tortoise about proper insurance for when Howard's time comes to a finish. Lucky is your lovable, cranky old atheist, but really nice guy who treats people right, except when they piss him off about sumpin'. He's got a thing that makes him prone to saying stuff about “nothingness.” I wasn't able to infer if Lucky is an avid reader of Jean-Paul Sartre, but I'd venture a guess old Lucky might have been open to some of that French feller's writings, maybe. Chances are, the only way you'll get to see Lucky is if you drive to San Francisco and watch it while it plays in the Bay Area; maybe Davis' Varsity Theater will run it too. Netflix might pick it up after a time or you can wait and see if a DVD appears on a shelf or online later on. It's for damn sure it won't run on commercial TV and less likely on a commercial cable channel, with HBO being the one, if it runs on cable at all. Don't wait for it to open in Sacramento. Chances are slim to none any cinema in California's capital will flash it on a screen anywhere around town. 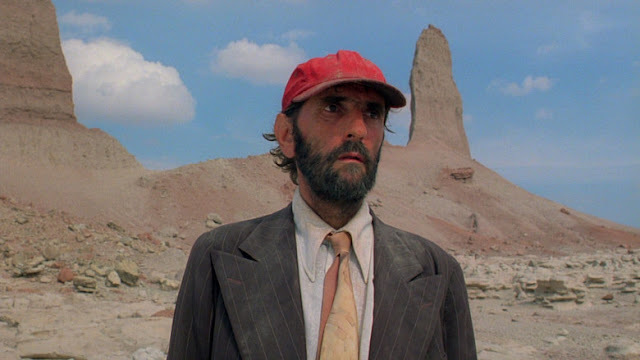 Lucky is a picture for folks who love Harry Dean Stanton, as well as selective film lovers, who, if they've got the dough or an expense account, go to a big independent film festival along the Pacific coast or back a ways in the lofty altitude of those Rocky Balboa Mountains of Colorado. I must add at this juncture, you'll really love the sequence where Lucky chats it up with a young, town waitress, who comes to check up on him at his place to see if he's alright. The scene has the pair smoking a little weed and watching an old Liberace syndicated TV show. Now, that's entertainment. He kicked it last September 15th down in L A where it seems all actors and musicians ultimately cash in their chips. Harry Dean Stanton … we were lucky to have him. RIP, Dude.